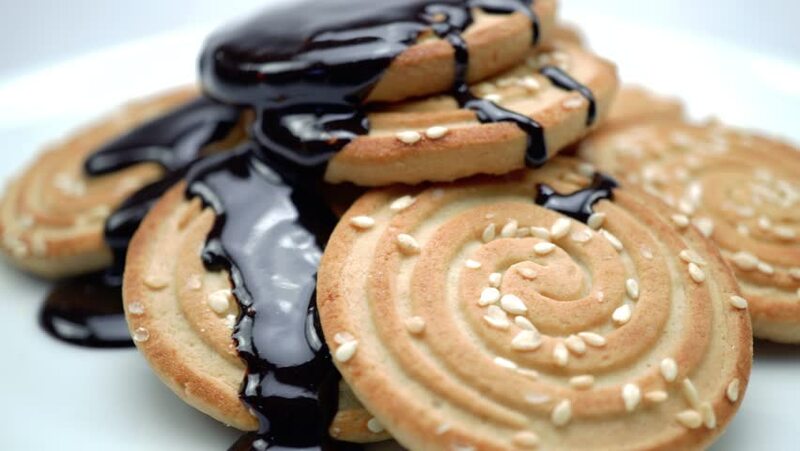 4k00:37Biscuits sprinkled with chocolate syrup. Slow motion. White background.